Treat yourself (or someone else) to a rapturous rub-down with this massager, soothing aches away with every stroke. With 6 stimulating settings, its 4 silicone hands knead and massage, moving in a circular motion for a deeply pleasurable treatment. Thanks to its sleek, ergonomic design, this mini massage therapist fits comfortably in the palm of your hand. Plus, its non-intimidating design makes it perfect for all-over use during foreplay. Whether you choose to use the kneading action on its own, or add vibrations, this massager is far more satisfying than any spa session. Use your personal massager with a water-based lubricant or massage gel to help it glide over your skin. Please note that using regular massage oil may damage the silicone 'hands'. I bought this massager as I'd had one similar many years ago and loved it. It died after several years of use and I'd not seen one since until browsing here. I was surprised to see it here as I hadn't seen personal massagers on the site before - apart from wands, that is. It arrived speedily in the standard brown box from Lovehoney, which was ripped open (as all my Lovehoney boxes are! ), unpacked in record time and placed on charge. A few hours later it had been well-tested on me - producing the delightful, almost orgasmic goosebumps and tingles in the title. It's obviously not as good as a massage from another person, especially one who knows what they're doing, but it is better than trying to massage yourself. It's much better if another person uses it on you, though. It's easy for the other person as they just need to hold it against the skin and if it's held lightly enough, it'll just walk it's way over the skin. I hadn't thought of trying it on my scalp until I read the other reviews here (thanks, everyone), but it's fabulous there. I have fine, curly, knotty hair and don't have a problem with it. Again, having someone using it on you is a whole a different experience and is highly recommended. Surprisingly, it's also excellent on the jawline. Anyone who's had a facial where the treatment involves having the jawline gently pinched by the therapist in order to help keep it firm will know what I mean. I've tried several handheld tools that are supposed to replicate that technique, but none have been as good as this little massager. All in all, it's a really good purchase if you like light massage. 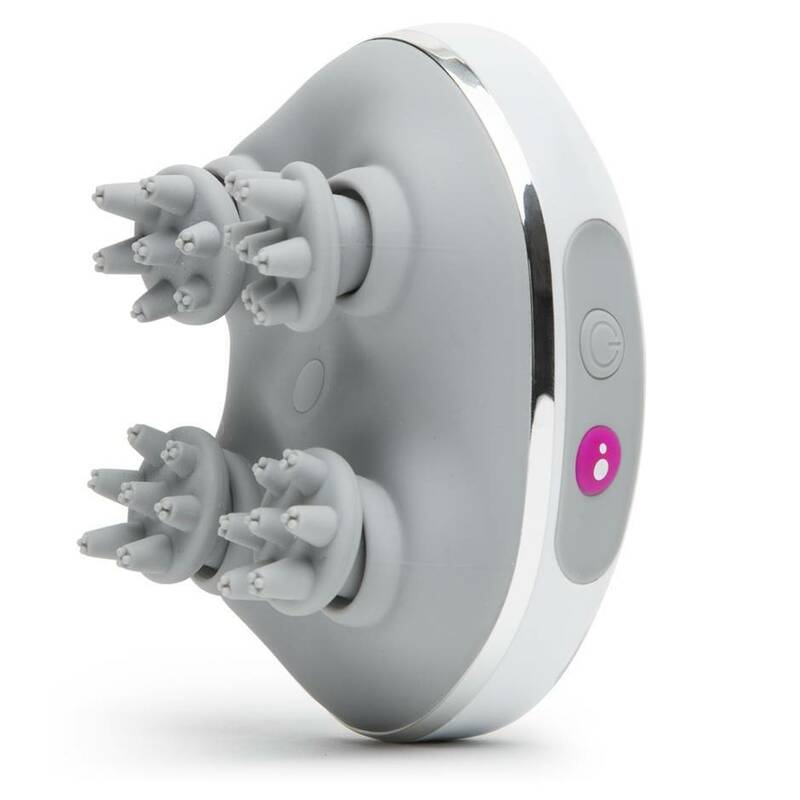 I'm thrilled to have found it and been able to replace my old massager. 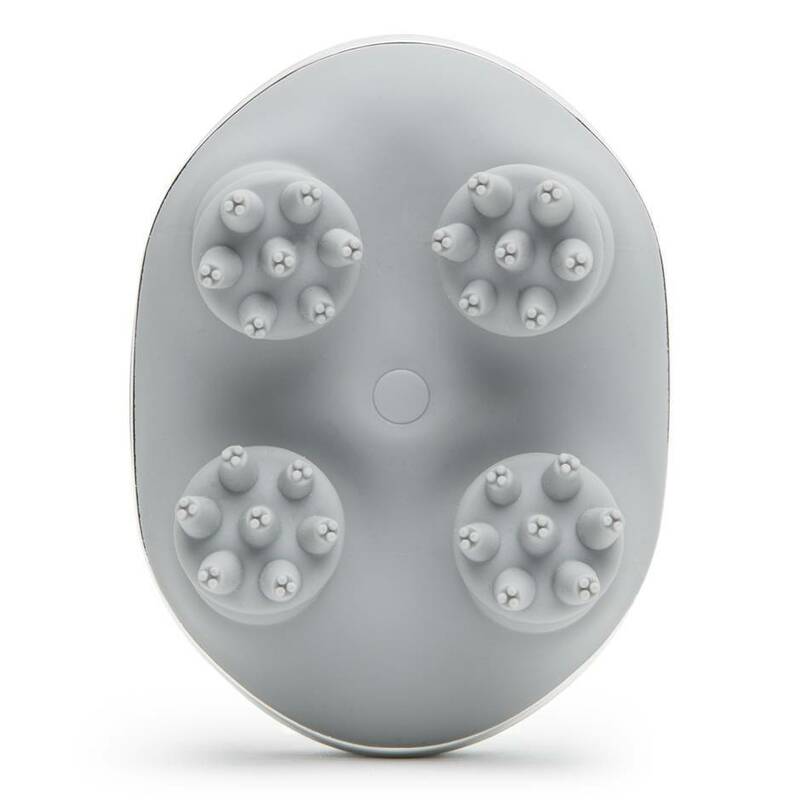 It's great for light massage all over - I love the tingles it produces! It's a little heavy and easy to drop - a strap would've helped. 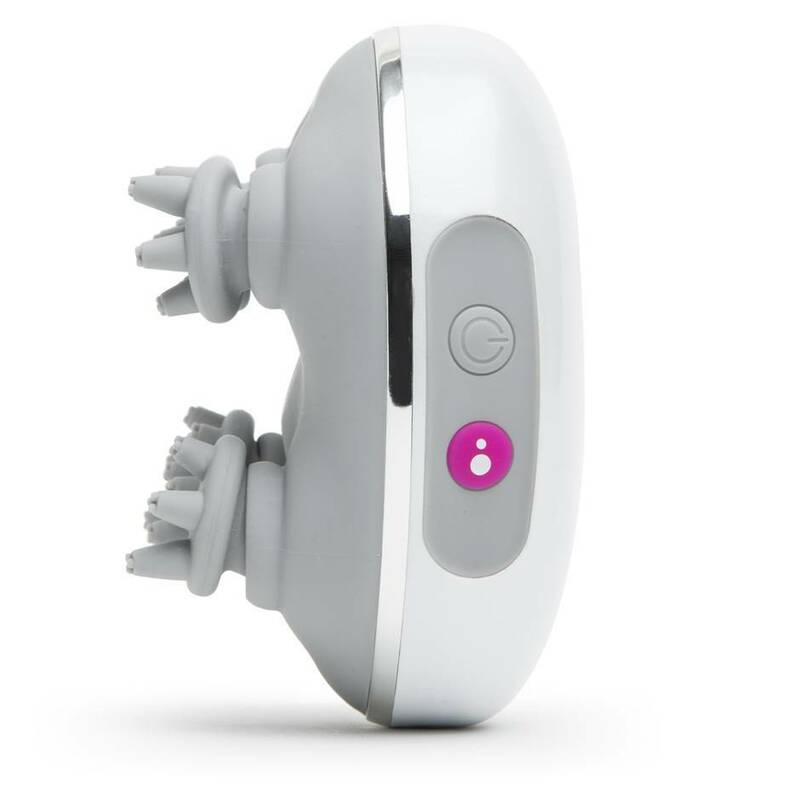 Brilliant little tool for all-over massage and unexpected jaw-toning benefits! I can't believe this item is going to be discontinued after it only being stocked for a few months. We got ours through the post a week or so ago and it's brilliant. The packaging is nice, what I really liked though is the little docking station, no fiddling around pushing the plug into self-healing silicone. If you can get over the fact it kind of looks a little like a hedgehog in use this really does feel nice. It's the one toy we can leave out in the open and just have charging on the bedside table. The arms all move at the same time and they kind of squeeze. Doesn't sound all that great but I suppose that's how our fingers go when we are doing it by hand. The vibration setting isn't used all that much as we don't feel it adds a whole lot. The faster massaging setting is a little bit too enthusiastic so we stick with the lowest setting. As a head and neck massager it works really well too and doesn't tangle hair at all. The small little arms are flexible in the sense of going sideways but firm if pressed down. Press too hard though for some deep tissue massage and you will leave little dots on your skin. It is fully waterproof so you can have a long soak get those muscles relaxed and use it in the bath. Unfortunately for us, it was dropped it from a chair and it has a small crack in the top so we wouldn't risk it now. All in all, if you like a little massage I would highly recommend. It's cute, lightweight, strong enough to get into the muscle and easy to charge. Cute design, nice massage technique, easy to charge. Slightly dissapointed in the vibrations, they should be a bit more rumbly. Perfect for a little massage love. 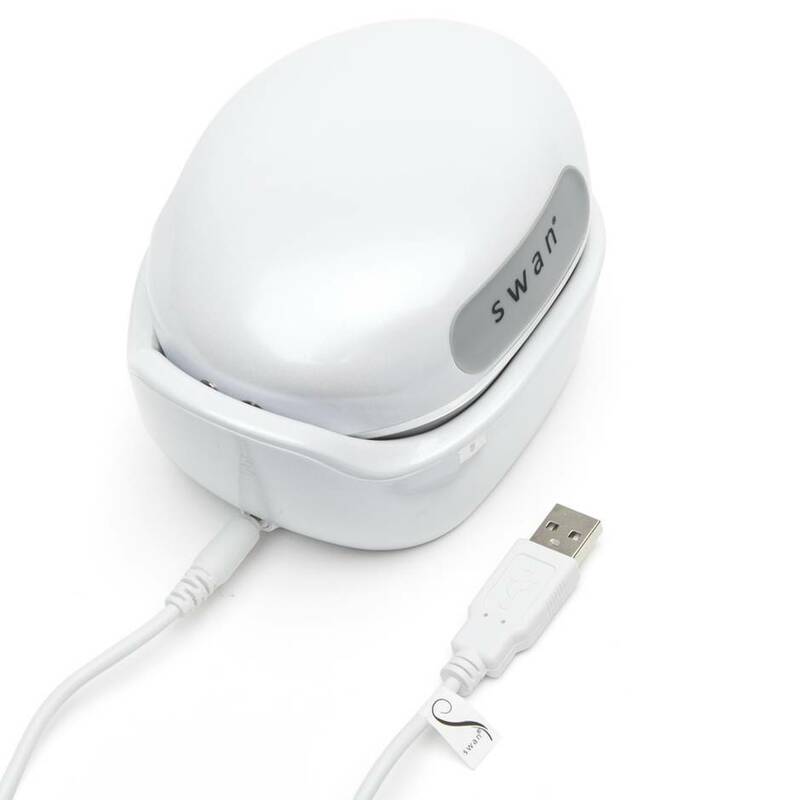 I received this Swan Personal USB Rechargeable Massage System from Lovehoney for testing in exchange for an honest review. It was shipped by Royal Mail (in a nondescript brown cardboard box) and received with ease. It comes in a white and hot pink box with a picture of the massager on the top. Inside the massager in nestled in its docking station. The colour isn't matte white, it has a metallic sheet and frankly, it's beautiful! The massager comes with a USB charging cable. Before use, you have to charge it up for 3 hours which is tantalising! I'm not sure how long it was charging the first time as I had it plugged in while I was out. It took me forever to get the bung out of the charging port, I tried using pens, sharp tweezers, all sorts of things! Took about 15 minutes but I got there in the end! The massager two buttons: one for speed, one for mode. It has two speeds and has a circular massaging mode, a vibration mode and a combined mode. I find the massaging mode the best, the vibration doesn't seem particularly strong but maybe we haven't found where its supposed to be used yet! We've used it all over the body: back, arms, legs, hands, shoulders, and it feels lovely. Not quite like a real massage, and the noise of the massager can be distracting (quite a distinct 'whirring' noise on high speed!). If you like a gentle massage, this would be great for you, I like quite a strong, deep massage or very, very light and this comes somewhere between. It is still an extremely pleasant and relaxing experience. A lovely surprise was using it on my head. I have long hair that mats easily. I fully expected this to mat my hair almost instantly and possibly rip a huge chunk out, but in fact, it's my favourite place to use it and doesn't do this at all! For the head massage alone, this is blissful and definitely my favourite way to use it! Something that is really handy is that the device has a travel lock: charging the massager deactivates the lock. You can turn it on or off yourself by pressing and holding both buttons for three seconds. I struggled with this at first but got the hang of it after a couple of goes. Overall, this is a really easy to use, attractive and pleasing massage system. Massage mode is delightful. Doesn't tangle hair! Travel lock. How difficult it was to get the bung out to charge! Vibration not strong enough. 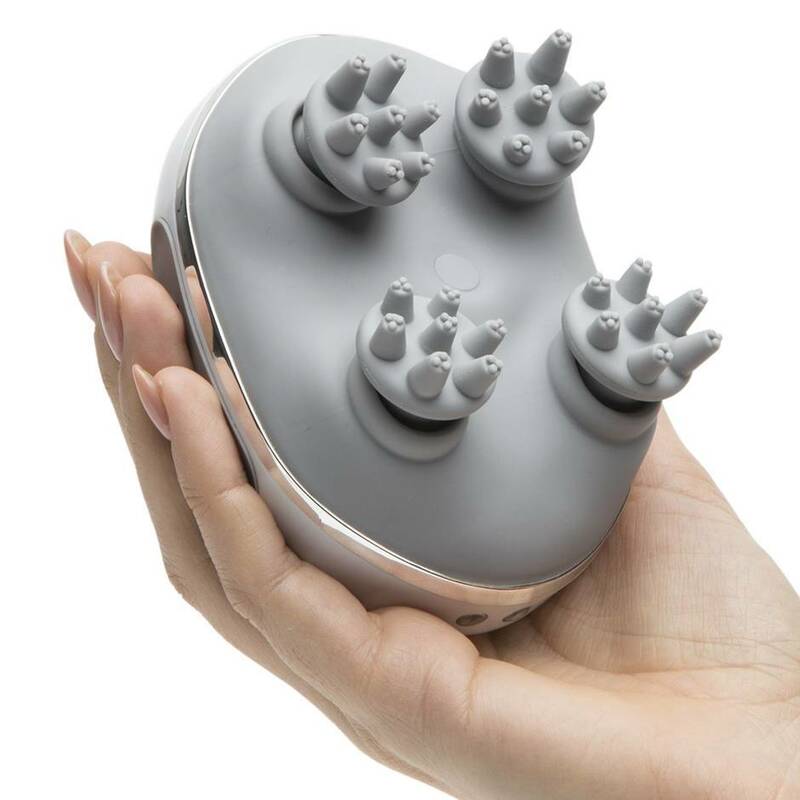 Lovely massager that feels luxurious.